Kumar Ragunath, 64, came to New York from Guyana in 1987. Five years later, he and his wife bought a house in Jamaica near Richmond Hill. 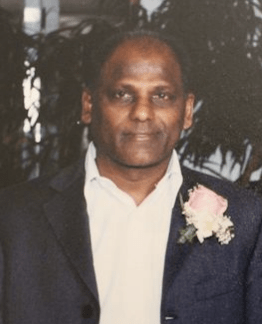 He loved to play cricket and listen to Indian music, and he kept working through his retirement to help fund college for his six grandchildren. Ragunath had been out of work since August, but recently found a job at the Queens Plaza Holiday Inn. On March 7 at about 10:25 p.m., he was on his way to his second day of work at the hotel when he crossed Northern Boulevard near 40th Road in Long Island City. Ragunath was outside the crosswalk when the driver of a dark-colored Chevy Blazer in the westbound right-hand lane hit him. The driver kept going. Ragunath was taken to Elmhurst Hospital Center, where he was put into a medically-induced coma and died the next day. Now, police are offering a $2,000 reward for information leading to the arrest of the driver who killed Ragunath. Local elected officials, neighborhood advocates and street safety activists gathered today at the crash site to call for Ragunath’s killer to be brought to justice and for safer streets, especially in the growing Long Island City neighborhood and along Northern Boulevard. Northern Boulevard has a long record of fatalities and injuries: Last year, 8-year-old Noshat Nahian and 3-year-old Olvin Jahir Figueroa were both killed by drivers on the street. Tri-State Transportation Campaign ranked it as the second most deadly street in Queens for pedestrians. 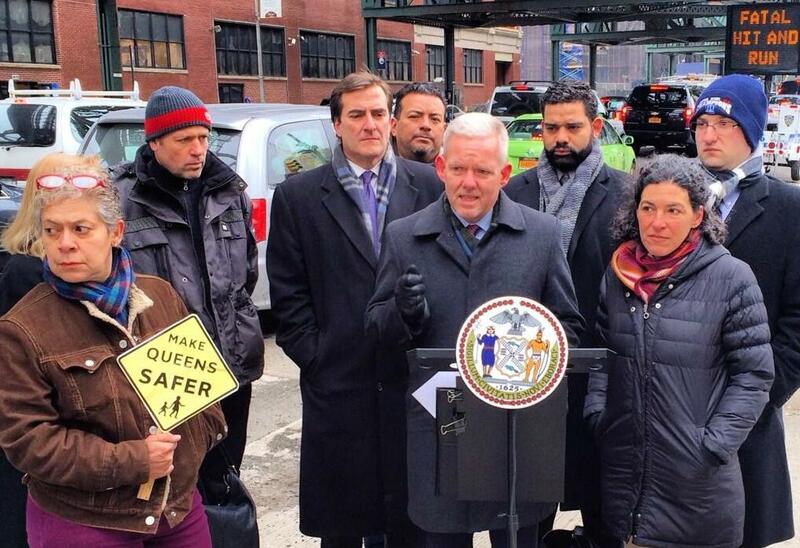 Last month, after a curb-jumping hit-and-run driver seriously injured five people at a Northern Boulevard bus shelter, Council Member Jimmy Van Bramer called on DOT to make the street a priority in its Vision Zero initiative. As at last month’s event, Van Bramer was joined by State Senator Michael Gianaris today. Make Queens Safer sent a letter today to three council members whose districts include Northern Boulevard — Van Bramer, Daniel Dromm, and Julissa Ferreras — asking them to co-host street redesign workshops with the group so the public can offer its suggestions for making the street less hazardous. In the meantime, police are searching for Ragunath’s killer. “A criminal is still on the loose,” Furlong said. “This is such a blatant, reprehensible act.” Of at least 21 hit-and-run fatalities since the start of 2013, no fewer than nine were in Queens, according to data compiled by Streetsblog. Last month, the City Council overrode a veto by former Mayor Bloomberg of a bill that would require the police to issue quarterly reports on the total number of “critical injury” hit-and-run crashes, the number of crashes that resulted in arrest, and the number of crashes for which no arrest was made. NYPD told Streetsblog that as of this afternoon there have been no arrests in the case. Ragunath’s funeral is scheduled for Saturday at 10:30 a.m.